Flaming Gorge Country is famous for its world class fishing, boating and family adventures. All set in the scenic splendor of the National Recreation Area. Download the new Flaming Gorge Adventure Guide here! It's packed with information on our huge variety of outdoor recreation and attractions. The social Mule deer is most often seen in herds. They are named for their very large (mule like) ears. Their tale is black tipped and is a distinguishing feature of this deer species. 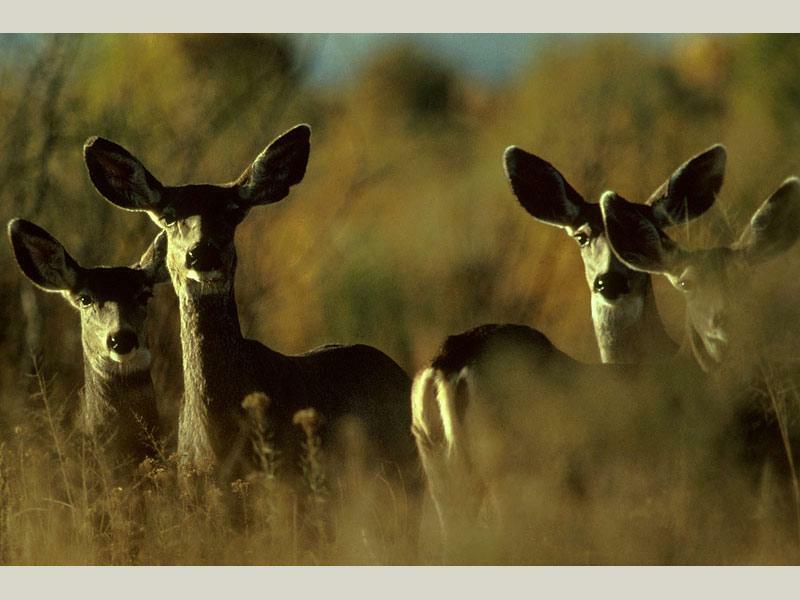 Mule deer are found in every habitat - urban areas, fields, meadows and forests. When frightened, they have a distinctive 4 legged hop or trot to safety. 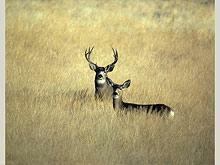 Odocoileus hemious, large hoofed mammal, 125-300 pounds - trophy bucks can weigh up to 500 pounds! Thank you for visiting http://www.flaminggorgecountry.com/Mule-Deer! Be sure and revisit flaminggorgecountry.com frequently for content updates and more.